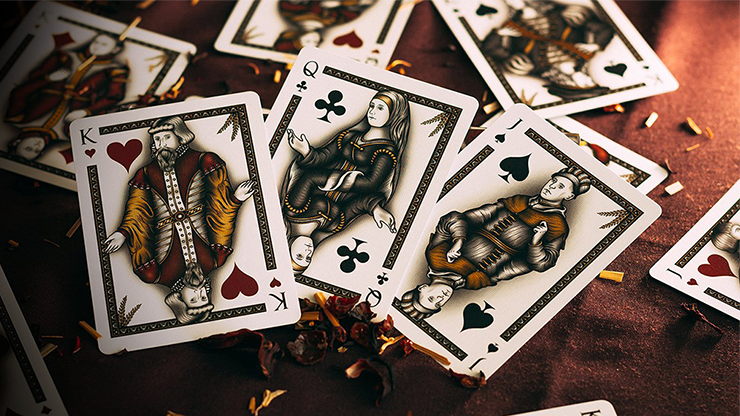 These luxury playing cards bring back the old world of craftsmanship with intricate engraving-style designs. 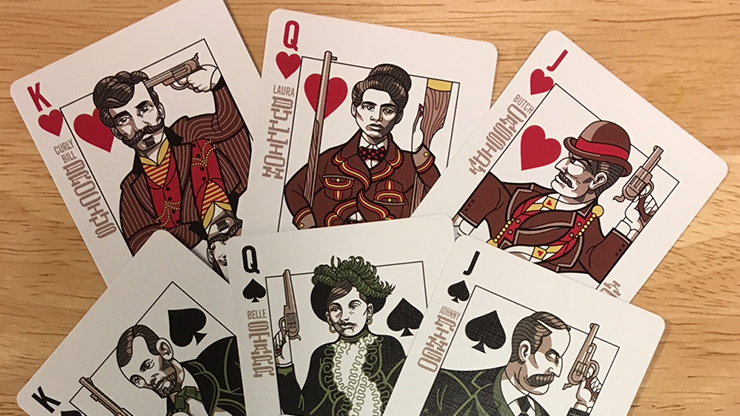 Custom court cards feature beautifully detailed illustrations displaying the delicate and intricate hatchings of their designs that urge a second viewing. 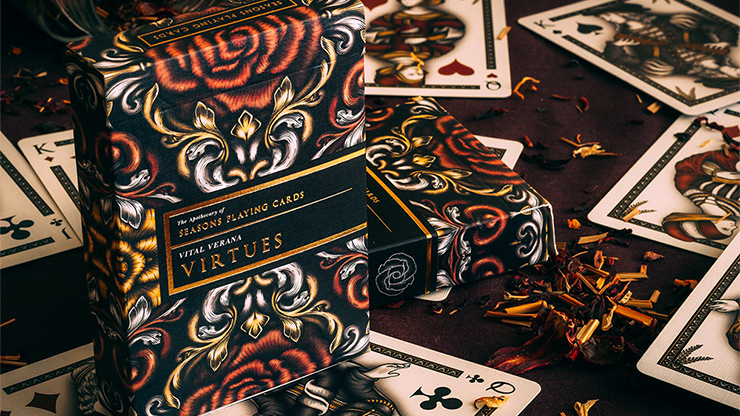 Summer reigns with an unbridled energy of unfolding rose petals encased into the cards themselves. 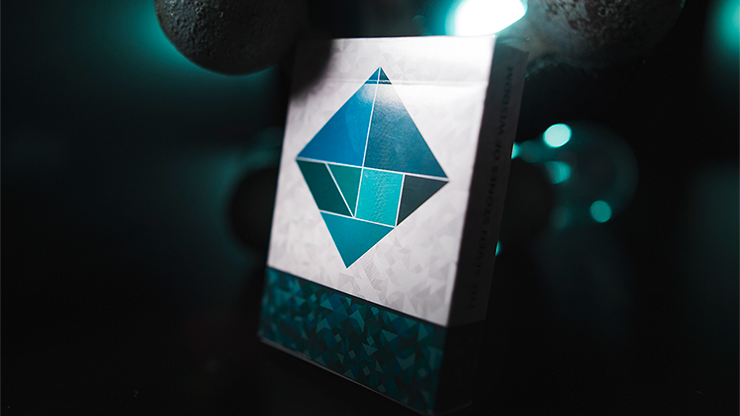 A story of intrigue lies behind each pack waiting to be discovered. 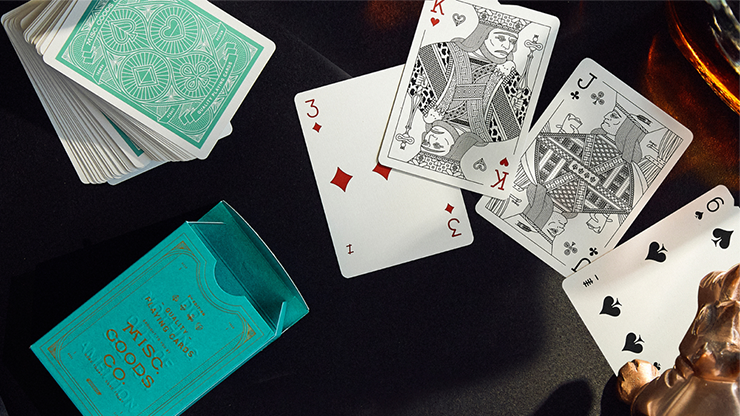 Rolling waves of white and gold vine work stretch through the cards into the pack with an energy that can be felt. 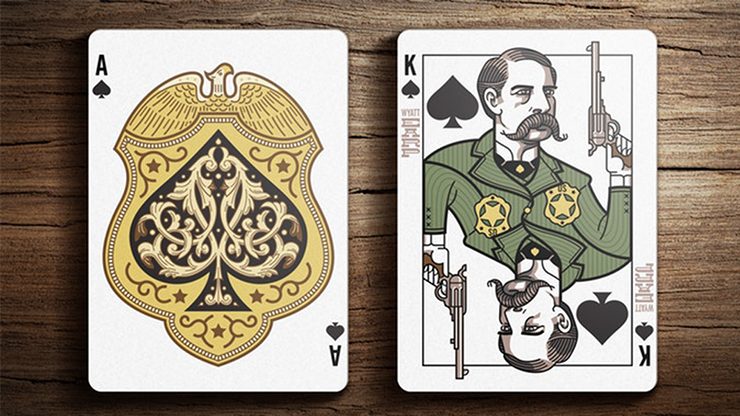 Golden hot stamp foiling wraps the decks with a statement of unbridled class. Sculpted embossed designs raise the petals through the pack to highlight the exquisite linen-textured stock. The paper is sourced from sustainable forests and printed with eco-friendly water-based inks true to any great Apothecary. Each pack from the Seasons Apothecary is harvested from a specific suit. The Virtues is proudly harvested from the suit of Diamonds throughout the deck to represent the vitality and growth of the summer season. Virtues are finally in your grasp. Pair with a calibrated dose of Primavera Ponderings or Seronda Sentiments to embolden your Apothecary Collection.